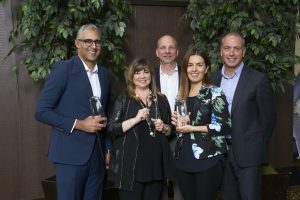 Every year, through its Marketing Awards Program, the Electro-Federation Canada (EFC) recognizes organizations demonstrating marketing excellence and innovation in the Canadian electrical manufacturing, distribution, and electronics industry. Integrated Marketing Award: Our Westburne’s Premium Program – Our national marketing campaign not only rewards our loyal customers but also drives sales growth for our key vendor partners. Event Trade/Show Award: Our Internet of Things Symposium – A tech incubator held at the Open Sky Incubator in Kitchener, helping businesses connect and showcase the opportunities IoT presents for our customers’ companies. Merchandising and Display Award: Our New Showroom Concept – A space catering to our customers, team members, and partners that provides better functionality while showcasing our world class solutions. Our new showroom concept is currently deployed at our Mississauga and Stratford branches in Ontario, and our St. Boniface branch in Manitoba. We want to thank our customers for their support and trust in us, our partners for their collaboration and loyalty, and our team members for their dedication and hard work. Together we win. Thank you!